The Mines Advisory Group is launching a very special celebrity charity auction this week to raise money for people affected by landmines. Stars such as Katy Perry, Pink, Shirley Bassey, Twiggy, Joanna Lumley, Nelly Furtado, Alan Shearer and Tony Blair's wife, Cherie, have donated their shoes to the auction, which launches on July 22 and runs till August 1. “We’ve been totally overwhelmed by the support we’ve had from celebrities who’ve given up their shoes to help those affected by conflict every day,” said MAG’s Give Landmines The Boot auction organizer Zoe Corden. "MAG chose to run a celebrity shoe auction because often its peoples’ feet that are the most at risk from landmine blasts, and the stars that donated did so to help us stamp a link between shoes and the dangers that lurk beneath them for millions worldwide. 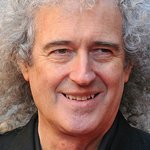 Other celebrities taking part in the auction include Brian May, David Walliams, Eric Idle, Gary Lineker, Helen Shapiro, Jeffrey Archer, Jerry Hall, Jo Brand, Johnny Marr, Little Boots, Michael Palin, Mike Dirnt from Green Day, Roger Federer, Ted Turner and many more.